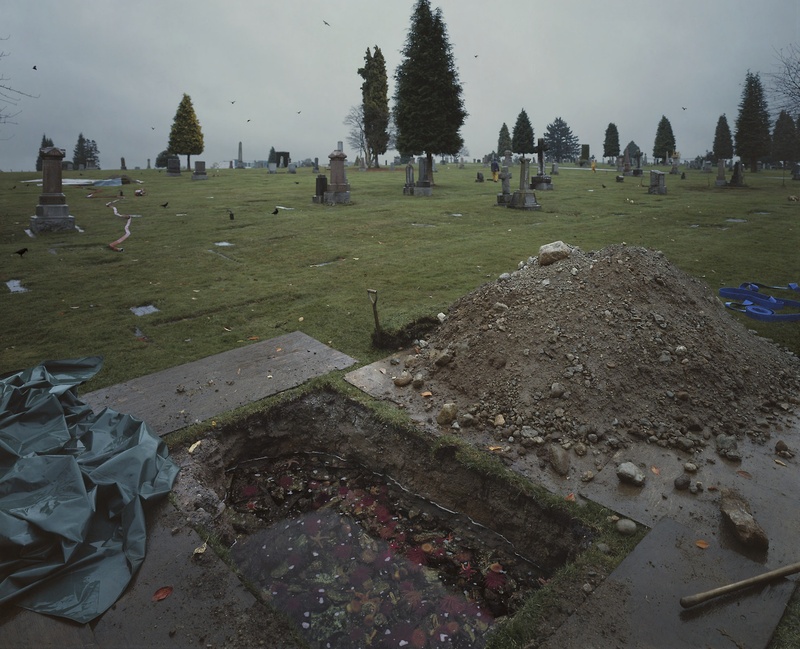 Jeff Wall’s Flooded Grave is the love child of photography and poetry. Jeff Wall then made this love child really, really big and displayed it in a way that had only previously been used for outdoor advertising – in a lightbox. It was brilliant. This made the photography light up from behind, giving it a subtle glow. This medium also made it so that Wall was in a league of his own. People tried to follow suit, which ended up starting “The Vancouver School,” a group of photographers living in Vancouver around the 1980s and '90s. Imagine accidentally starting an art movement just by being brilliant. This particular piece took years to create because Wall’s process was so incredibly detailed. First, Wall made a plaster mold of a dug out grave in Vancouver. Seems random right? But wait. Wall then brought the mold to his apartment where he started an actual aquarium with living organisms that would resemble the ocean floor. He was so precise as to even bring in marine life specialists so that the aquarium would be perfect. Lastly, Wall photographed the aquarium at the perfect angle so that he could Photoshop it into his images of the grave; images which had their own extensive process. The photographs of the graveyard were taken in two locations in Vancouver over the course of several months. Wall took the best parts of every photograph to make this imagined place, and then finally combined the images to make this spooky, ethereal, yet incredibly realistic-looking place. He explained that he wanted the piece to seem like a momentary vision of someone strolling through the graveyard on a rainy day, as if they just looked at the flooded hole in the ground and for a moment saw the ocean. You could call Wall a contemporary Surrealist - like if Dali had the Adobe Creative Suite.